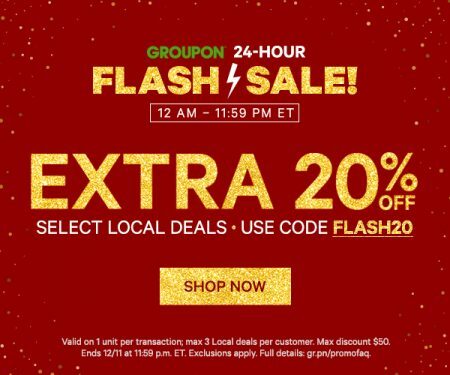 Groupon has a Flash Sale today! Save an extra 20% off select local deals! Enter the promo code FLASH20 at checkout. Offer is valid 12am-11:59pm ET today only, December 11, 2016.